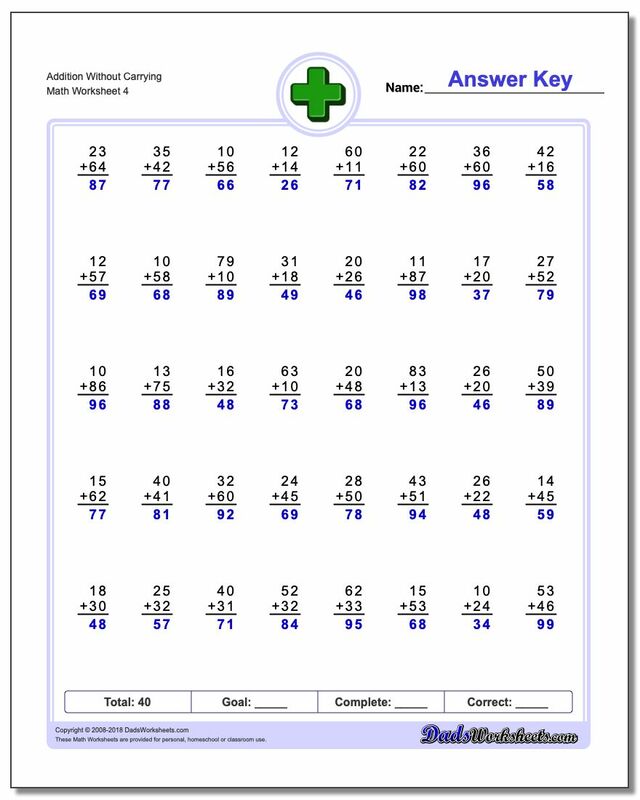 Once the basics of place value addition are down, these worksheets introduce multiple digit addition in a way that does not require carrying or regrouping of the place value columns to solve problems. 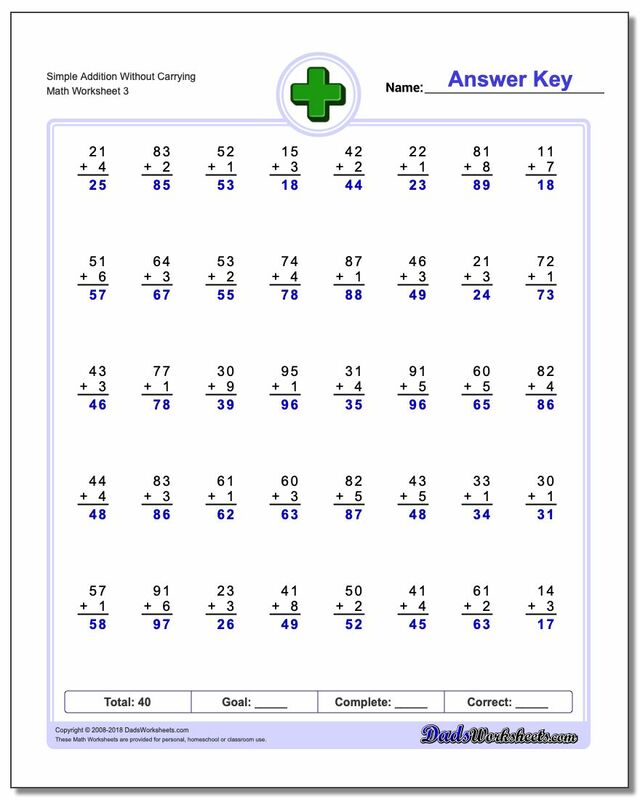 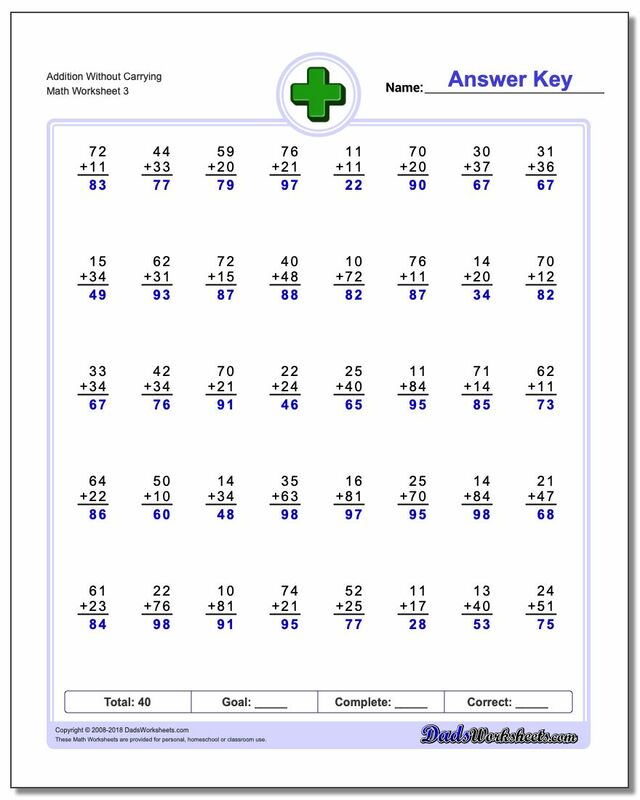 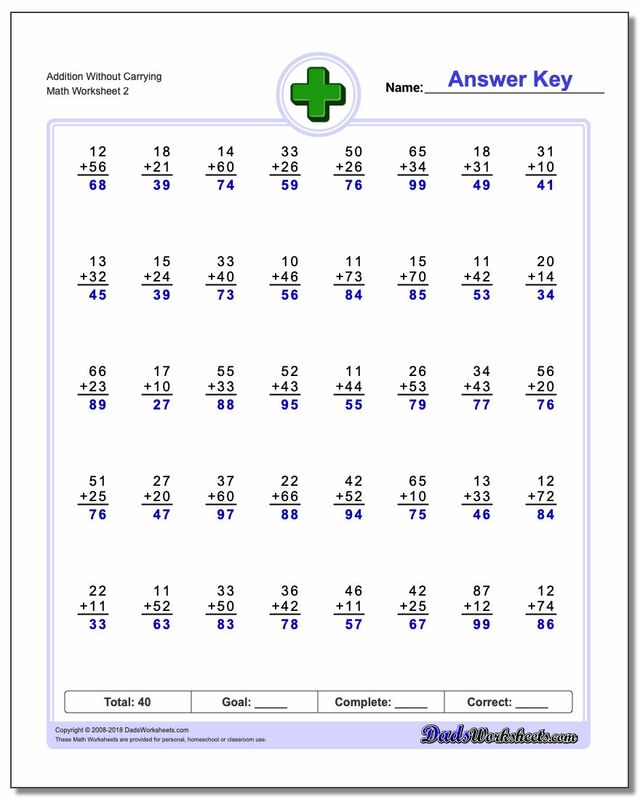 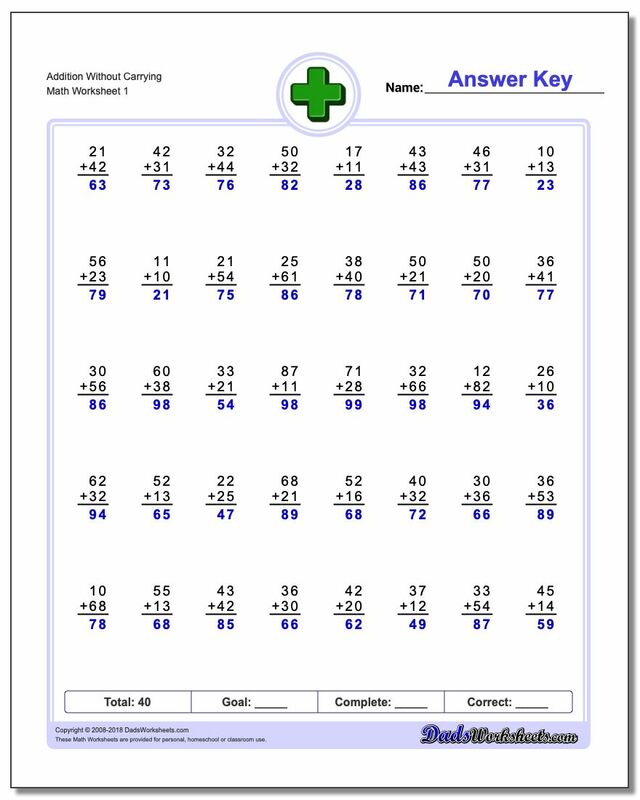 The first set of addition worksheets here adds a single digit fact to a two digit number and the second set deals with multiple digit numbers added together. 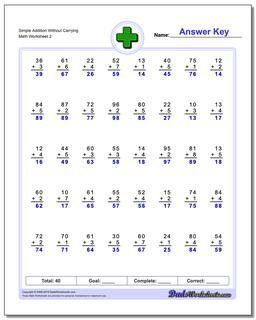 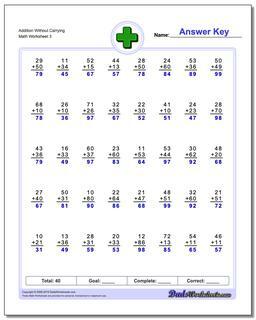 Each series has four variations of the worksheet with an answer key.